Good fonts are hard to find. There're just so damn many out there and most are either boring, bad, or too specific. I've been hunting for a font, or set of fonts, to use for the Swordfish Islands and I believe I may have finally found *the* set. The fonts in this set seem to have it all. They have a look and feel that I really like, a rich history, and they're free and open source, so everyone else can use them in their independant gaming endevours too! 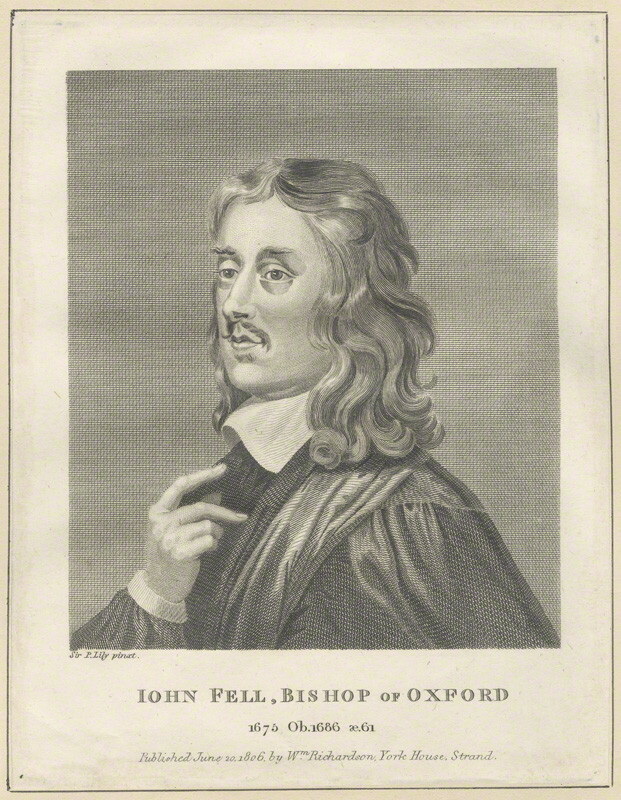 Back in the 1600s, Dr John Fell played a pretty major role in setting up the Oxford University Press, Oxford going so far as to call him the "father" of their modern Press. Apparently he curated and edited everything that went through the Press ruthlessly, and with rigirous attention to quality and detail. He commissioned a large number of custom types from craftsmen in Holland, France and Germany, stating, "the foundation of all success must be laid in doing things well, which l am sure will not be done with English letters." Between 2000 and 2006, Igino Marini, an Italian civil engineer, digitized a number of these fonts and released them into the wilds of the internet under the SIL Open Font License, with a request that anyone using them for a project let him know about it. You can check out and download the fonts here. There are five different sets of standard letter fonts, two fonts of symbols and decorations, and one font of bold capital letters. Let's all make some beautiful things! Convert your simple text in to Stylish Fancy latters this tool really very helpful you can convert simple text in to many different type fonts.